If you're thinking about moving to the Boise Area (Boise/Eagle/Meridian/Star/Kuna), use us and our website to learn more about the area and our real estate market. We're here to answer any questions you have regarding anything about relocating to the area - we've helped many clients do it already. We can tell you what to expect regarding the timeline to find a home, and the transaction time and process to get you into it. We're highly familiar with the Treasure Valley, so we can also help direct you to the best areas in which to concentrate your search based on your work and lifestyle needs. Use the column on the left to check out the informational pages on our website. If you want to check out available properties, you can set up your own search. 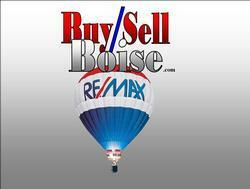 And, be sure to go to the "BOISE AREA MARKET STATS" page to see what is happening by the numbers in our market.